Corner shops, fruit and vegetable vendors, and small town butchers may form an idyllic Italian scene, but the reality is that most Italian families do at least some of their shopping at the local supermercato, the supermarket. 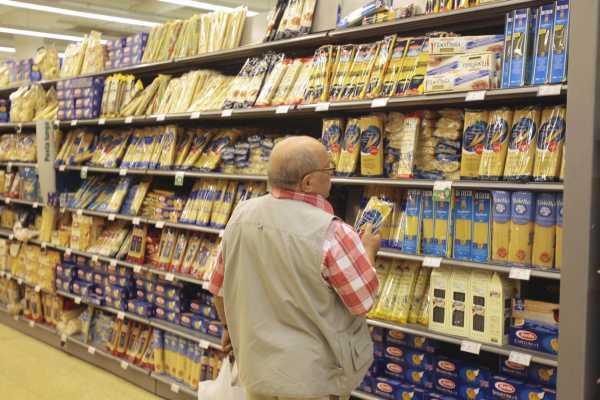 Italian supermarkets can compare to British and North American supermarkets at first, but there are key differences to understand if you are hoping for a successful shopping trip. 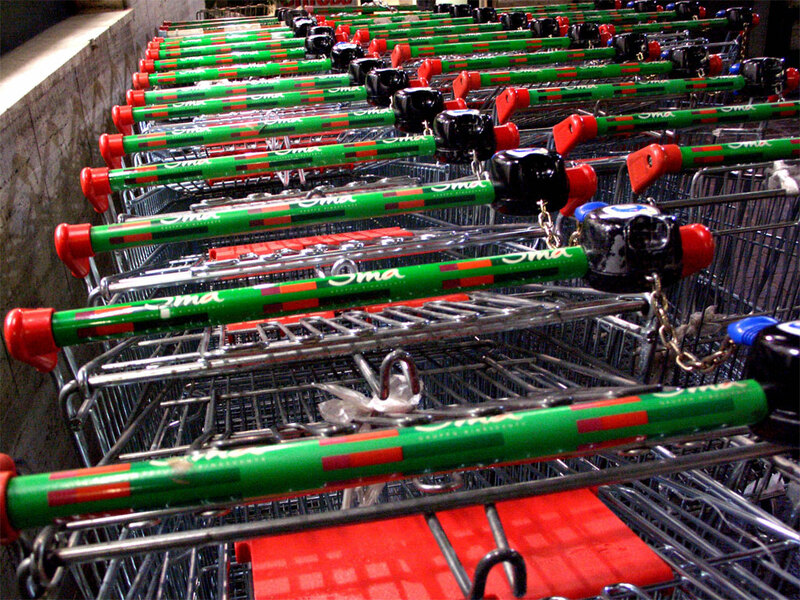 Italian supermarkets in city centres tend to be small, which makes maneuvering the isle with shopping carts difficult. While carts are available even in this small shops, it is more common to use the hand basket-cart hybrid, which you will see upon entering the store. The basket should have a large handle so it can be pulled along behind the shopper on wheels. The medium size supermarket have carts lined next to the parking lot or at the entrance of the shop and, usually, require a € 1,00 coin rather than a reusable shopping cart coin to be dislodged. Notice that you will get the coin back as soon as you will place the cart back and attach it either to the appropriate rail or to the previous cart on the line. If you are looking for an hypermarket than you need to find an "Ipermercato". Perusing the shelves of a supermarket in a foreign country is a good way to learn about local tastes. 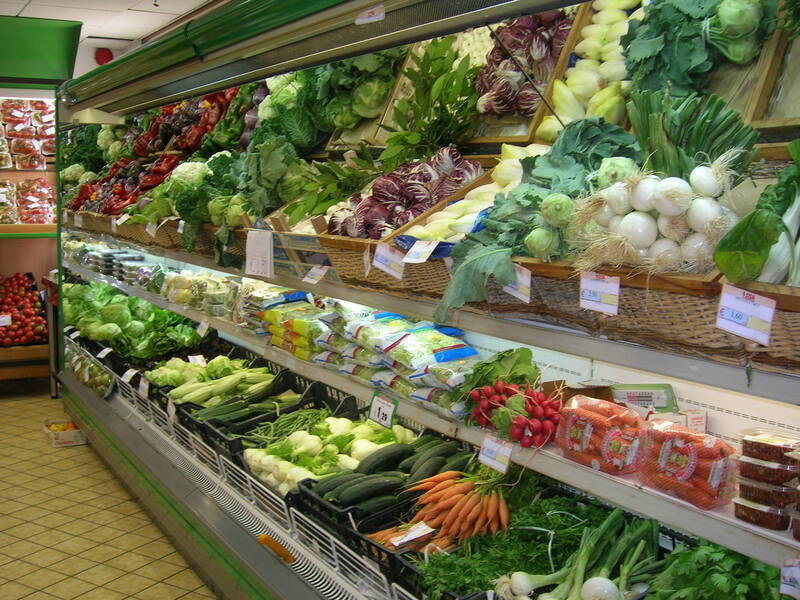 One of the first sections to greet an Italian supermarket shopper is usually the fruit and vegetable aisle. A large amount of signage will be in place to ensure that shoppers follow proper fresh food handling procedures. In Italian supermarkets, for health and safety reasons, you are not supposed to touch unpackaged food with bare hands. If you are selecting your own fruits and vegetables, you have to wear a disposable plastic glove for hygienic purposes. The gloves can be found near the produce bags. A sign above each product will indicate its price (either per piece or per kilogram) and be followed by an additional code you need to enter in the scale. Indeed, after bagging your selection, you must find the electronic produce scale. In Italy, it is the shopper and not the cashier who weighs the fresh produce to determine the price. Place the bagged products on the scale and key in the code corresponding to that particular produce. An adhesive price tag will print out of the scale and you simply attach the sticker to the bag of fruit or vegetables. If you forget to weigh your produce and attach the price sticker, the cashier will most likely set it aside when you attempt to pay for your purchases. After the produce section, Italian shoppers usually enter the milk and meat area of the supermarket. The dairy section also differs from North American and British grocery stores. While there will be some bottles of fresh milk in a refrigerated section, much of the milk can be found on the shelf. This UHT milk is processed under ultra-high temperatures, does not require refrigeration prior to opening and has a shelf life of 6 to 9 months. Eggs are also found on shelves near the coolers rather than in the coolers themselves. What is in the refrigerator section like? Italian supermarket coolers contain a wide assortment of fresh pasta, cheese and cured meat. The cured meat section dwarfs any American counterpart, boasting prosciutto, pancetta, mortadella, speck and bresaola to name a few. Mozzarella, parmigiano, pecorino, ricotta and other cheeses depending on region are widely available at affordable prices. 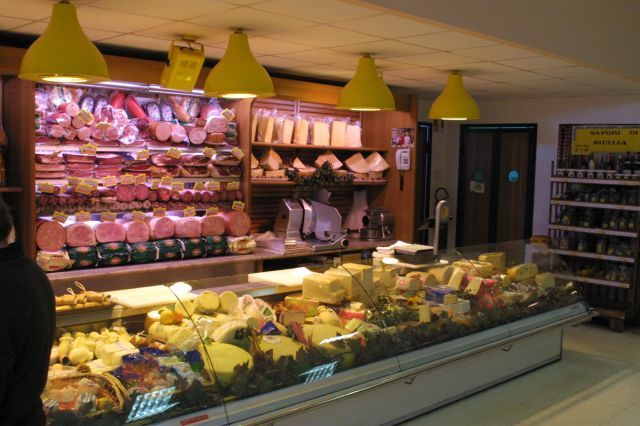 Many Italians prefer to get their cheese and cured meat at the "salumiere" counter. In this section of the supermarket you can usually find a great variety of cured meat and cheese coming from various regions. Likewise with meat, Italian supermarkets often offer butcher services within the shop where you can get anything from chicken, to beef, pork, rabbit, sausages, tripe and many fresh products like "involtini" or "spiedini" made by the butcher and ready to be cooked in a pan or in the oven. If the supermarket include a "pescheria", you can expect to find different kind of fish depending on the season. You will find some pre-cut fish filets, but most of it will be displaid as it came right out of the sea. You can ask the fishmonger to clean it, in which case they will just gut it and leave the head on, or fillet it for you. In all of the three sections described above, you need to ask the salumiere, the butcher or the fishmonger for the right quantity of product you need by weight or by piece. Usually, you ask for "Un etto di...." or "Due etti di...", ("Un etto" is one tenth of a kilo, just under a quarter pound) or "Un chilo di...." (One kilo is about 2.2 pounds). Like at home, you often need to get a ticket with a number from a small machine close to the counters before you start queuing to be served. Big supermarkets have a special section selling a range of freshly cooked food, which can include pastas, meat, vegetables and local specialties. They also include a "panifico" where you can find freshly baked bread and desserts. In small supermarkets, you can find a smaller selection of ready meals and bread at the "salumeria" counter. Continuing on into the dry food section, you may be unimpressed by the relatively small cereal selection. Instead, an assortment of pre-packaged breakfast pastries so called "merendine" are likely to take up most of the aisle. As for the coffee section, the instant coffee jars are dwarfed by the moka and espresso machine style of coffee. Of course, what is lacking in the cereal aisle will be made up for in the dry pasta section of the supermarket. All sorts of shape, type, size and brands of pasta take up a full aisle often followed by the tomato sauce bottles and tins section. Moving on to the baby food section, this area offers an impressive selection of jarred foods including flavors such as cavallo (horse), prosciutto (ham) and coniglio (rabbit). 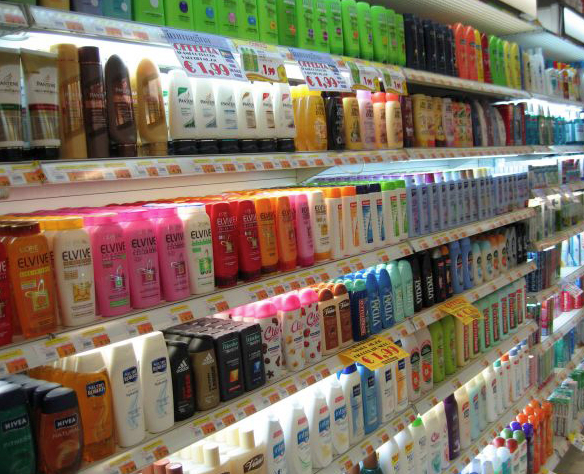 In the homeware, personal hygiene and care products aisles, you will find many of the brands you are used to at home. These products often have the same packaging around the world, so they are easy to recognise. A surprisingly special area of the supermarket is the water area. A wide assortment of bottled water takes up much of the final leg of the store. Sparkling, still, large and small, with countless brands, means that the most difficult part of your shopping trip may be choosing the water at the end. The wine and spirits aisle offers a wide choice of products including pure grain alcohol needed to prepare a fantastic limoncello. Almost all Italian supermarkets chains accept credit cards, but it is always advisable to be prepared with cash just in case. Big supermarkets and hypermarkets often have an ATM machine just around the corner. One thing you will not find in an Italian checkout stand is a bag boy. You are expected to bag your own purchases, and even to purchase your own bag. Italy banned plastic bags in 2011 so bring your own reusable bag or expect to pay a 5 to 15 cent fee to purchase a biodegradable bag from the store as you check out. If you did get a cart, do not forget to place it back on the rail and get your coin back.